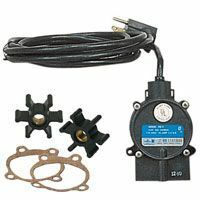 Little Giant 1-EUAA-MD (588205) is a Magnetic Drive Aquarium Pump 1/200 HP, 115V, 6' power cord - MD 'Quarium Series for mildly corrosive salt solutions and chemicals, designed for submersible or in-line use (dual purpose). 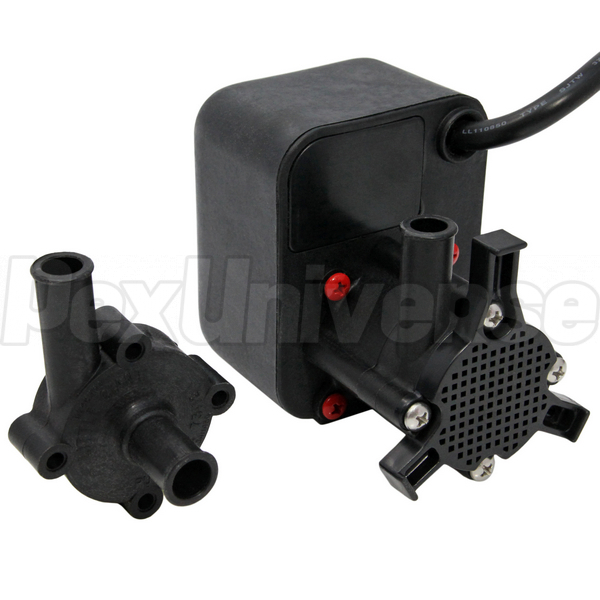 Little Giant 'Quarium pump is ideal for aquariums. The newest 1-EUAA-MD features a leakproof, seal-less "Salty Sub 1" Magnetic Drive and is recommended for salt or fresh water applications. Little Giant 1-EUAA-MD dual purpose, epoxy-encapsulated Aquarium Pump has 1/2" OD (Outside Diameter) Intake for inline use and a screened inlet for submersible use. Epoxy-encapsulated (non-oil filled) motor has a 1/2" OD Discharge with head capacity of 5' with fluid temperature operation up to 120F. The volute and magnet housing of 1-EUAA-MD are glass-filled polypropylene for excellent chemical resistance. Little Giant's Impeller is glass-filled polypropylene and ceramagnet "A" (barium ferrite). 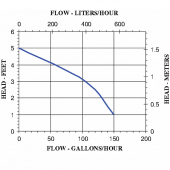 The shaft is ceramic and thrust washers are Rulon "J" (Teflon) provide wear and trouble-free service. Little Giant's powerful 1/200 HP Encapsulated, thermally protected, totally enclosed, motor delivers 1.75 GPM of fluids at 3' total dynamic head. 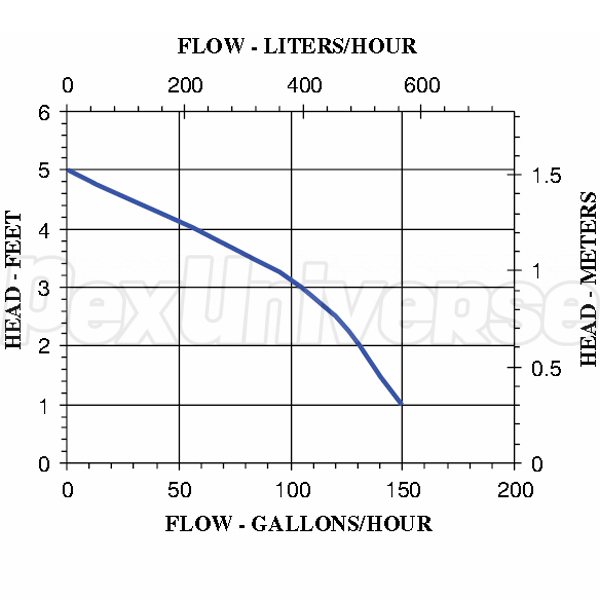 Pumping heads are easily rotated, cleaned or serviced with no special tools required. Spindle shaft is supported at both ends to prevent impeller damage during start-up and stop of pump. Little Giant 1-EUAA-MD has been factory-tested for capacity, control operation and electrical continuity to assure maximum performance and safety.